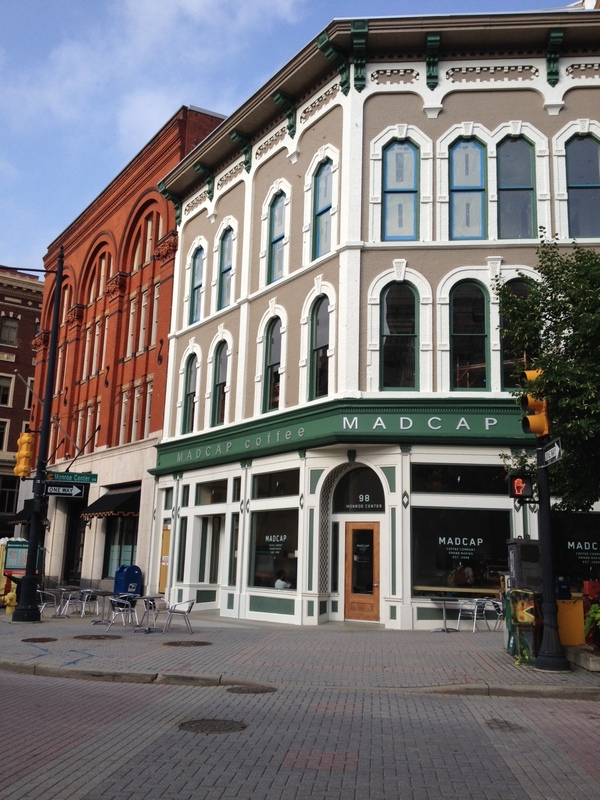 Cafe miel at Madcap – a very pleasant start to a Sunday. 90 degrees – everyone and their brother was at the beach. 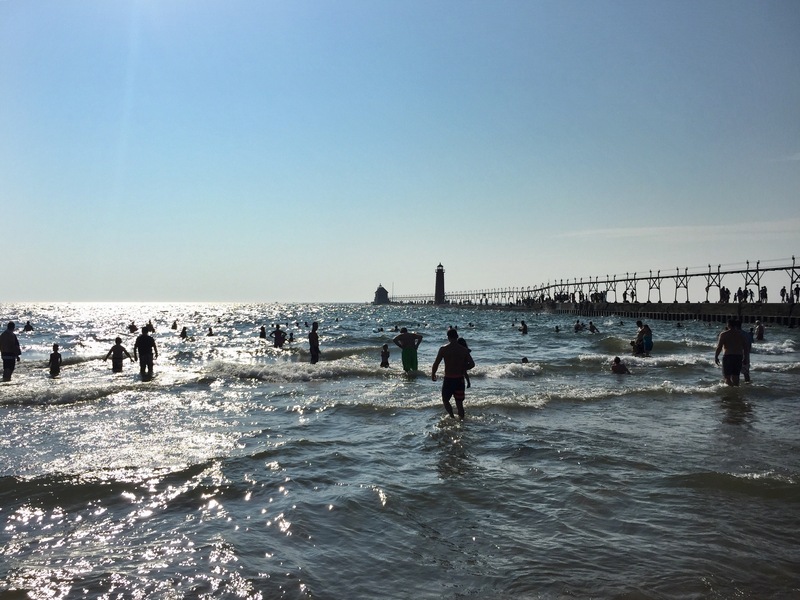 A refreshing spray on the Grand Haven pier. 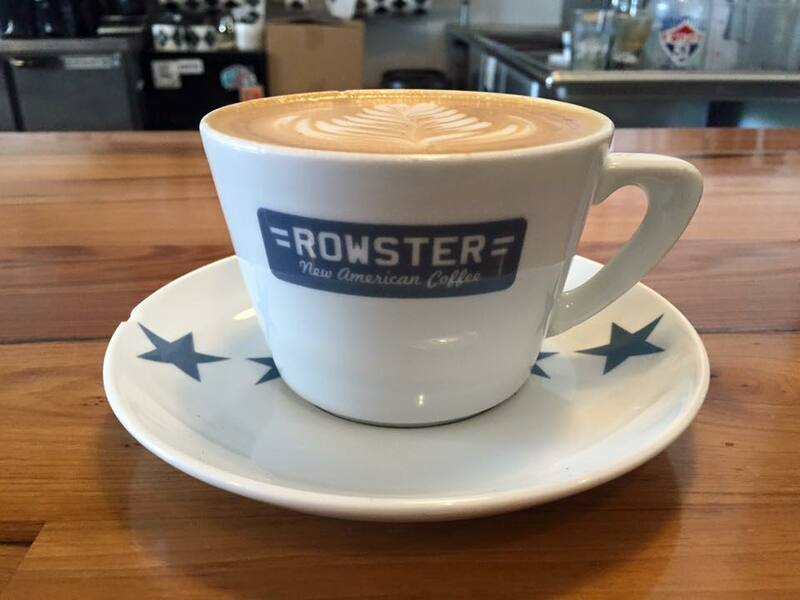 Monday morning cafe miel, this time at Rowster. Delicious. 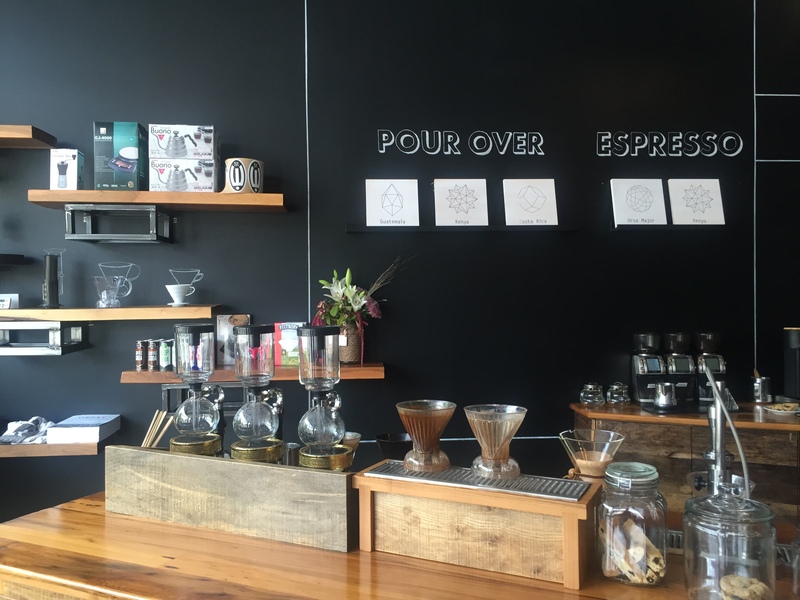 Rowster – another hip, minimalist coffee shop. It’s what we do. 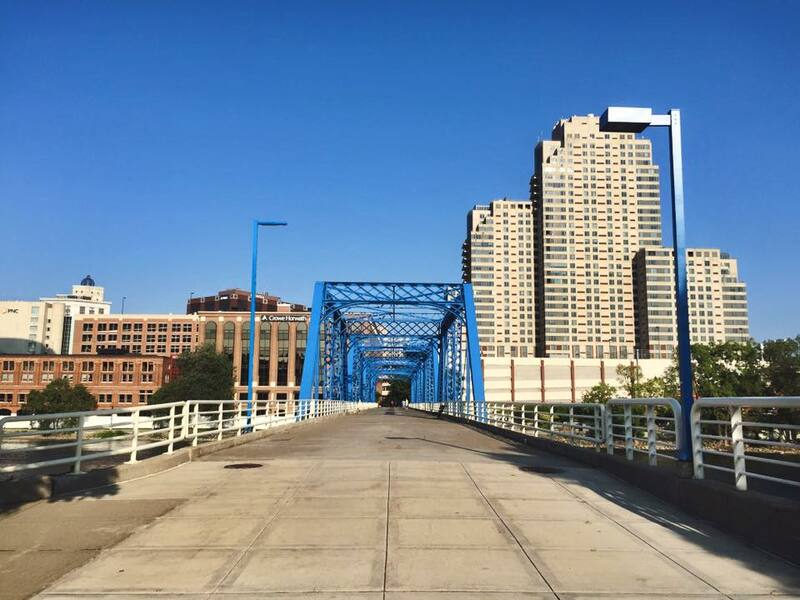 The beloved blue bridge – pedestrian gateway to relaxation and rejuvenation. 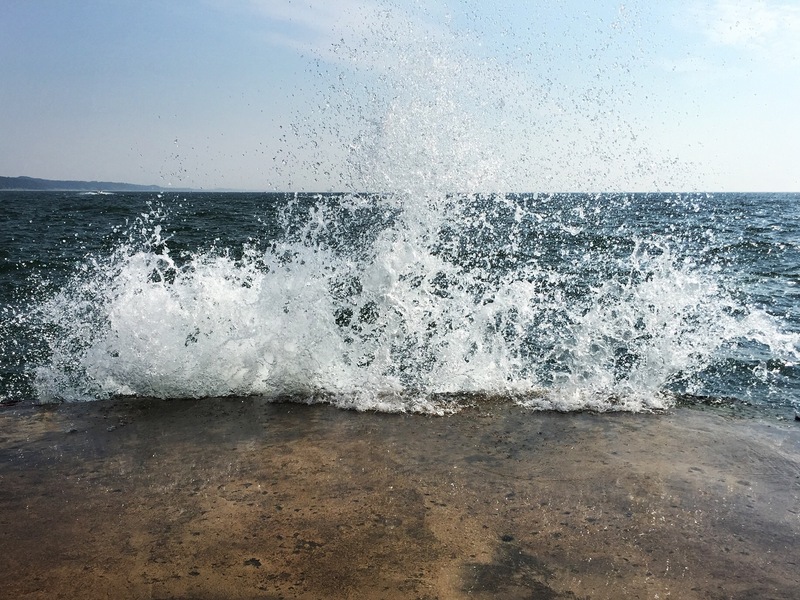 Labor Day weekend in western Michigan – Coffee, beach and some great meals. The beach and coffee! My two favorite things! That cup of coffee looks too awesome to drink. 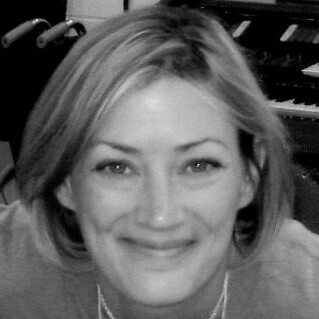 Thanks for sharing this Julie. How did you spend Labor Day Elihu? Glad your pie business is booming. Hope you didn’t work too hard. My husband is a Yooper, born and raised in the UP. He hasn’t lived their for over 45 years, and he still misses Michigan. Come visit! The fall colors will be in full force soon.